It seems like each year, new accounting rules are issued that make financial statements more complicated and less relevant for privately-held companies, especially those that are small and medium-sized businesses. Most of the new accounting requirements have been intended more for larger publicly-traded companies. The good news is that there has been some recent relief for privately-held companies. 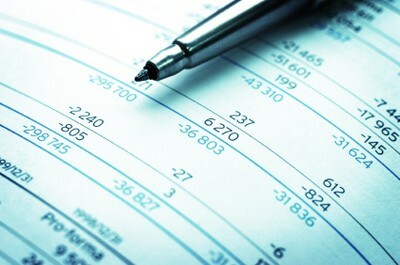 For those privately-held companies required to issue financial statements using generally accepted accounting principles (GAAP), the Financial Accounting Standards Board (FASB) issued in 2014 some amendments to accounting rules that should simplify the accounting requirements in regards to recording goodwill, interest rate swaps, and variable interest entities (such as leasing relationships that previously were required to be consolidated). These amendments become effective for annual periods beginning after December 15, 2014, with early application allowed. For those privately-held companies whose financial statements users don’t require GAAP-based financial statements, the tax basis of accounting has always been a popular more simplified option. There is also a new non-GAAP basis of accounting available for small and medium-sized enterprises (SMEs) called the Financial Reporting Framework for SMEs. This basis of accounting is accrual-based and uses more simplified principles that don’t include deferred taxes, interest rate swaps, comprehensive income, variable interest entities, etc. that have complicated a lot of GAAP-based financial statements. This new framework basically is like an old version of GAAP before the more complicated rules came into being. Let us know if you have any further questions. While the relief noted above doesn’t guarantee more simplified accounting for all privately-held companies, it’s definitely a step in the right direction.